Despite increasing pressures coming from Trump, Iran has continued to fulfill its part of the deal, as verified by the International Atomic Energy Agency 11 times since the deal was implemented in January 2016. Iran has waited to see what actions Trump would take and carefully assessed the ability and willingness of Europe to safeguard the nuclear deal. In October, Tehran sent out clear signals that it would consider sticking to the deal so long as Europe, China, and Russia could deliver a package that served Iran’s national security interests. 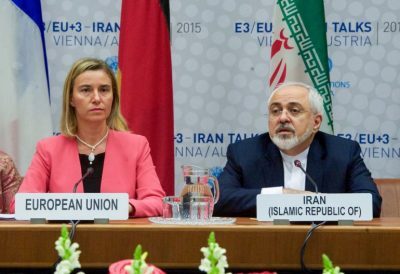 But as talks between the US and the EU3 (Germany, France, and the United Kingdom) have stepped up over the last few months, Iranian thinking on European positioning has begun to sour.